65% polyester, 25% nylon & 10% spandex. Very comfortable and well fitting sock is made in Italy. 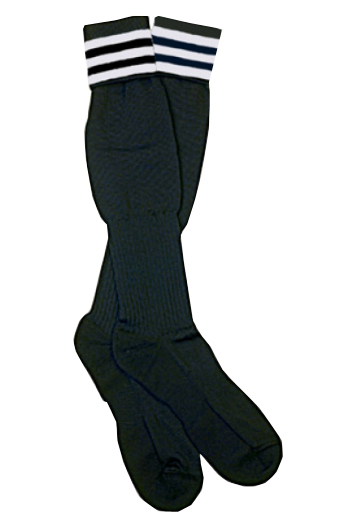 This company makes professional soccer socks for players all around the world, and has designed this superb referee sock for OFFICIAL SPORTS. Sizes: Med, Large.